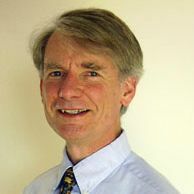 William McCarthy is an adjunct professor of public health and co-director of the Center for Population Health and Health Disparities at the UCLA Fielding School of Public Health. He once worked for the Quaker Oats company. His current research includes a three-year trial to compare the traditional calorie-counting approach to weight control with the new high-fruit, high-vegetable ChooseMyPlate.gov approach (based on the DASH diet). This piece was posted on Zócalo Public Square on March 24. Thinking L.A. is a partnership of UCLA and Zócalo Public Square. Not so long ago, it was near impossible to avoid trans fats — more widely known in food ingredient lists as partially hydrogenated oil. Trans fats, which were processed to mimic saturated fat, were found in almost all the cakes, cookies, pies, pastries, and potato chips we bought in supermarkets and chain restaurants. But late last year, the Food and Drug Administration declared that trans fats are no longer “generally regarded as safe.” The introduction of any new food product that contains more than trace amounts of trans fats now requires explicit FDA approval. Trans fats don’t have to be artificial — some are also found in nature. Bacteria in cows and sheep are known to create trans fats that appear in the milk we drink and the mutton we eat. But for 94 percent of human existence, we consumed small amounts of trans fats. Even after the domestication of cattle, our consumption of natural trans fatty acids did not typically exceed half of 1 percent of daily calorie intake until modern times. In 1999, the FDA announced that food product manufacturers had seven years to reformulate their products and list the trans fat content on labels — or at least the labels on any product with 0.5 grams or more. By 2006 — when those labels first began appearing on products — the damning evidence against trans fats now included 12 clinical trials, one of which suggested that eliminating industrial trans fats from the food supply could prevent at least 72,000 heart attacks and strokes every year. U.S. food manufacturers initially opposed FDA regulation of trans fats on the grounds that trans fats had been used for decades and were generally regarded as safe. But they began reformulating products anyway because of the bad press. Since then, manufacturers have reduced or replaced the trans fats in thousands of products — mostly energy-dense and nutrient-poor foods such as cakes, cookies, pies, pastries, and savory snacks. The McDonald’s baked apple pie, for instance, no longer uses trans fats and instead uses palm oil, a tropical plant oil with levels of saturated fat that are unusually high for a plant-based oil. As any parent of a vegetable-rejecting child knows, it can take time to learn to like fruits and vegetables. My diet in college was heavy on cheeseburgers, French fries, ice cream, and pizza, with maybe a piece of fruit and a few vegetable servings. Over time, I’ve trained my body to prefer a healthy lifestyle. I eat six servings of fruit and six or more servings of vegetables every day. Now, even a single potato chip makes me feel queasy. Eating this way takes time — about 30 minutes to prepare dinner each night, plus three trips a week to the grocery store for fresh produce. Based on a sophisticated measure of my heart functioning, my current biological age is 27. (My real age is 62.) At this point, I’m addicted to the DASH diet, which calls for eight or more servings of fruits and vegetables combined a day. It may be the one addiction that is unequivocally good for you. And it contains negligible trans fats.